Although Skid Row have yet to make an announcement, according to Blabbermouth, the sleaze rockers played their first gig tonight, since the departure of lead vocalist Tony Harnell in late December 2015, with ex-DragonForce and current Tank and I Am I lead singer ZP Theart taking over the lead singer duties. Skid Row and Slaughter were co-headlining a private event at the Mohegan Sun Arena in Uncasville, Connecticut, USA. Video footage is available via Periscope. This will come as a disappointment to many fans given that this likely means that Skid Row will not be reuniting with their most famous lead singer Sebastian Bach and will not be the opening act for Guns N’ Roses during the latter’s “reunion” tour. 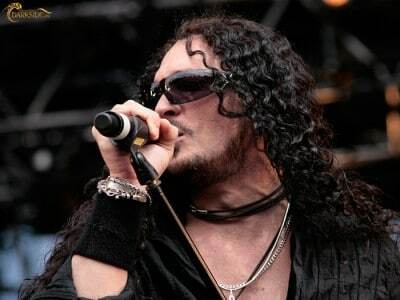 “ZP Theart (born 27 May 1975) is a South African singer, and songwriter, best known as the former singer of British power metal band DragonForce, and is the current singer of Skid Row. His name “ZP“, is not an abbreviation, but those letters are his grandfathers initials (whose name was Zachery Paul). After leaving DragonForce, ZP founded his own band, I Am I, in which he sings lead vocals. The band has so far released one studio album, Event Horizon, which has been released on a USB format and CD. Theart also sang in Shadow Warriors, a side project by his then DragonForce bandmate Sam Totman during the late 90s. Before DragonForce, Theart was also briefly involved with hard rock band Easy Voodoo, and recorded the vocals for the two track Power Quest demo album. Theart has been doing work with metal band Tank since 2013, and in 2015, he became an official member. His first album with the band “Valley Of Tears“, was originally set to be released on 9 June 2015, but it was later set back to 25, September 2015, so that they could give the album better production and give extra thought on the mixing.